"It's been a highly rewarding experience to develop new ideas within such an excellent team," said Professor Morris. "The synergy was apparent early on and, of course, we're super-excited about what we're proposing to do. We're absolutely delighted to have been selected for funding." The philosophy of the ERC Synergy programme is simple, said Professor Morris: "They encourage researchers from different disciplines to come together think freely and develop a research programme 'bottom up' following their curiosity. He continued: "In my view, it's a recipe for success and innovation. Scientific progress is driven by the free flow of ideas, data and people and the ERC Synergy programme promotes exactly that." John Innes Centre Director, Professor Dale Sanders congratulated the team and said: "The ERC Synergy programme fits really well with the philosophy of the John Innes Centre, achieving excellence in fundamental research and giving scientists the freedom to follow their curiosity. This is a fantastic achievement for the team and it is encouraging to see European partnerships coming together to answer key questions which will push the boundaries of our understanding." Carlos Moedas, European Commissioner for Research, Science and Innovation, said: "The purpose of this EU funding is to group together top scientific talents and bring out their best. It equips researchers on their quest to put European science on the global stage and make discoveries that will ultimately improve European lives." 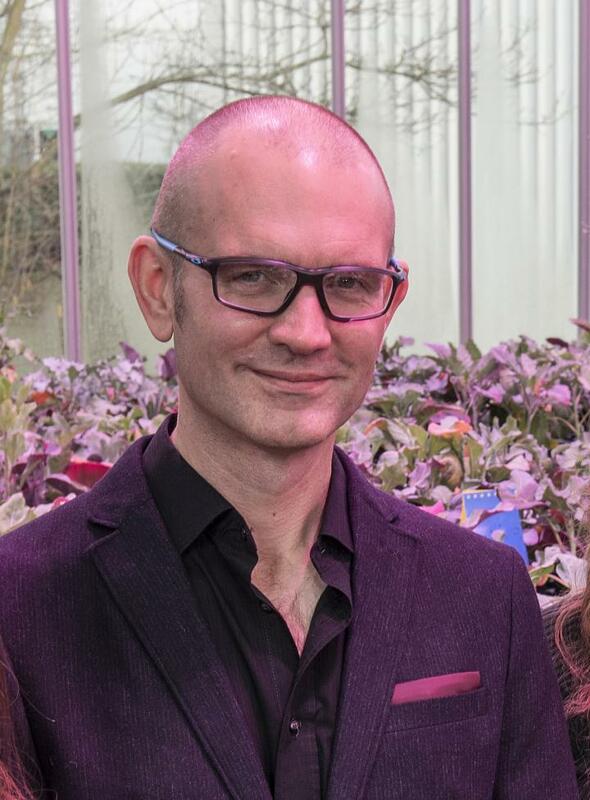 Professor Morris's research uses mathematical modelling and computational approaches to solve problems in biology. His focus is on how plants encode, transmit and decode information about their environment. He believes the ERC funding is a "game-changer" for his long term scientific goals. "This grant will be game-changing for my interest in biological information processing in that it brings together leading groups from across Europe in the areas of cell biology, protein biochemistry and mathematical modelling to unravel the mechanisms of RNA-based communication. This funding gives us the freedom to build and develop truly interdisciplinary research teams and train the next generation of researchers. It's very exciting," he said. "This is blue skies science that will shed light on how plant cells can talk to one another over long distances to co-ordinate development," he said. The grants are part of the EU's research and innovation programme, Horizon 2020. Our mission is to generate knowledge of plants and microbes through innovative research, to train scientists for the future, to apply our knowledge of nature's diversity to benefit agriculture, the environment, human health, and wellbeing, and engage with policy makers and the public. The John Innes Centre is strategically funded by the Biotechnology and Biological Sciences Research Council (BBSRC). The John Innes Centre is also supported by the John Innes Foundation through provision of research accommodation and long-term support of the Rotation PhD programme.